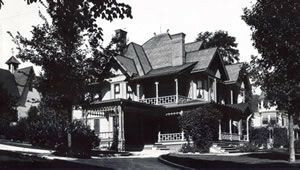 In 1910 Clifford B. Maryott began the operation of his own funeral home after purchasing the funeral establishment of Charles Murphy in Towanda. Prior to opening his own business Clifford was employed by the J.O. Frost and Sons Funeral Home, Smith Brothers Funeral Home, and the Turner Funeral Home in Towanda. In 1912 Clayton H. Maryott, Clifford’s son, began his own funeral business in Monroeton, Pa after purchasing the funeral business of Albert J. Mingos in Monroeton. In 1930 Clayton H. Maryott purchased the Smith and McClen Funeral Home and Furniture Establishment located on Court Street in Towanda. Clayton was the first funeral director in Bradford County to have branch locations. The third generation of funeral directors in the Maryott family began when Clayton M. Maryott, Clayton H. Maryott’s son and Clifford B. Maryott’s grandson, received his license in 1949 after serving in World War II. 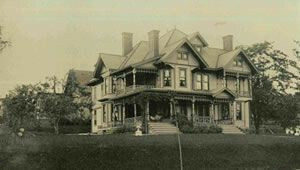 In September of that year Clayton H. Maryott and his son Clayton M. Maryott purchased the stately Victorian residence of E.F. Kizer at 217 York Avenue in Towanda which they converted into a funeral home. They made many changes and arranged the building to serve families in a home like atmosphere. 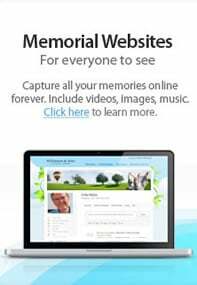 In 1979 James A. Bowen of Athens, PA became associated with Clayton M. Maryott and assumed ownership of the funeral service in 1981. In 1983 Mr. Bowen purchased the funeral business of Archer-Miller-McCloskey, successor of Clifford B. Maryott which was located on Main Street, Towanda, and combined both businesses together at the York Avenue location now known as the Maryott-Bowen Funeral Home. In 1985 the building was renovated and expanded to better serve the community. Mr. Maryott and Mr. Bowen served families together until Mr. Maryott’s death in 2003. In 1987 Mr. Bowen purchased the Gordon E. Farr Funeral Home in Ulster, PA now known as the Bowen-Farr Funeral Home, in 1999 he purchased the Nicholas D. Alteri Funeral Home located on Desmond Street, Sayre, Pa, now known as the Alteri-Bowen Funeral Home.